Americans have experienced a strong case of Germany Envy throughout the recession and slow recovery.In 2010, when the president pledged to double export growth in five years, policymakers looked to Germany for tips. But Germany’s vocational training isn’t top of the class by European standards. That prize goes to Denmark. Over four per cent of Danish gross domestic product is spent on job training and support — about the same percentage the U.S. spends on its military budget while allotting a mere 0.7 per cent to job retraining and support. And Danes have job placement down to a quasi-science. Experts prepare what is known as a “bottleneck analysis,” using pollsters to survey employers on what jobs they will need in coming years. The feedback is then used to identify the next labour shortages and to pick the correct training courses for individuals. One Danish jobs analyst said, “In our system, we can make supply and demand match,” an impressive boast that shows a proactive government can help a flexible labour market. Beyond vocational training, a huge factor in Germany’s manufacturing and export success lies in its vibrant mittelstand — those small and medium-size enterprises (SMEs) that form the backbone of the economy. Germany has a cornucopia of Fortune 500 companies that are manufacturing leaders — global brand names like BMW, Siemens, ThyssenKrupp, Volkswagen, Daimler and BASF — but what really sets Germany apart is its beehive of small and medium-size businesses. About 99 per cent of all German companies are SMEs, which are enterprises with annual sales of below EUR 50 million and a payroll with fewer than 500 workers. And around two-thirds of all German workers are employed in this sector. While that’s the same as the EU average, it’s higher than the United Kingdom (60% SMEs) and much higher than the U.S. (about 50%). 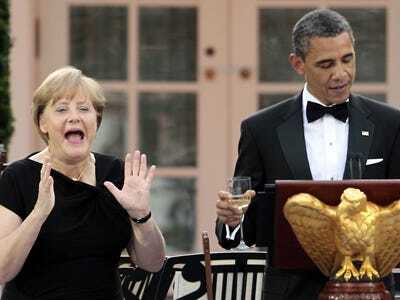 While America’s policy makers pay lip service to sound bites like “small business is the backbone of the American economy,” Germany actually follows through with smart policy. The results speak for themselves. While Germany’s entire SME sector is impressive, its manufacturing SMEs are world-class. Nearly a third of Germany’s SME workers are employed in the manufacturing sector, but those workers account for a disproportionate share of Germany’s total exports, about 40 per cent (compared to American SMEs which account for 31 per cent of U.S. exports). Many enterprises have been run by the same family for decades, and companies are often handed down from generation to generation. — Tente specialises in heavy duty casters and wheels for industrial uses. These are high tech, low-friction shelves, slides and drawers needed in a wide range of industrial applications, including factory automation, automotive assembly, aeroplane production and more. For example, if you have a very large, heavy battery for a metro bus that you need to have easy access to for maintenance, then you need a way to smoothly slide that battery in and out. While Germany’s economy shrank in the last measured quarter, mostly due to the collapse of the overall European economy, it still runs a trade surplus with much lower unemployment than the U.S. German Chancellor Angela Merkel once was asked by then-British prime minister Tony Blair what the secret was of her country’s impressive success. She famously replied, “Mr. Blair, we still make things.” In Germany, manufacturing still dominates finance, not the other way around, as Germany has continued to emphasise manufacturing and exports over the financial industry. The conventional wisdom among some observers of the U.S. economy is that manufacturing can’t compete with low-cost labour in China. Germany has shown this viewpoint to be utter rubbish. One study by the US Bureau of labour Statistics found that hourly manufacturing compensation (wages plus benefits) was $48 in Germany and only $32 in the United States (that study was for all manufacturing workers, not just those in SMEs, but Germany’s manufacturing workers in SMEs make comparable wages to those working for their large corporations).